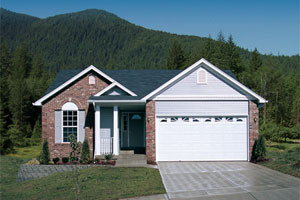 Increase your parking space with a residential or commercial concrete garage pad or concrete parking pad. Apex Concrete and Concrete provides professional concrete services and can pour and stamp concrete into beautiful designs to suit any taste. 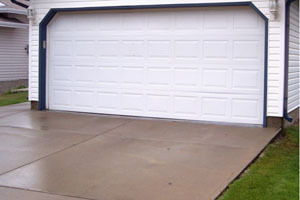 Concrete garage pads are a great choice for durability and low maintenance. A residential or commercial concrete parking pad is durable and can withstand the weight of multiple vehicles over a long period of time. A properly poured concrete garage pad will resist cracking and shifting due to the fluctuations in Calgary’s weather patterns. Apex Concrete and Concrete is a professional Calgary concrete contractor with years of experience in pouring residential and commercial concrete garage pads and parking pads. We are a trusted concrete provider and we exude the highest level of craftsmanship to ensure that our concrete services will leave our customers satisfied. 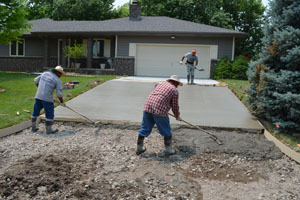 Leave it to the Apex team of professionals to take care of your next concrete garage pad project. We ensure that your project costs will not exceed your expectations. At Apex Concrete, we are a Calgary concrete contractor dedicated to ensuring your concrete garage pad project is completed to your satisfaction. Whether you have ideas in mind or need some advice on your next concrete garage pad project, we are here to make your ideas come to life.